Nintendo DS is a general product name that applies to all versions of Nintendo's popular dual-screen handheld game system, including the Nintendo DS, the Nintendo DS Lite, the Nintendo DSi, and the Nintendo DSi XL. This wide definition seems confusing at first, but most gamers use proper names to distinguish among the different Nintendo DS builds. Fans of the first-generation Nintendo DS often refer to the bulkier hardware as the “DS Phat,” while Nintendo officially terms it as the “original-style” Nintendo DS. The Nintendo DS hit American stores on November 21, 2004, and was released in Japan on December 2, 2004. The first Nintendo console to be introduced in America before Japan. Nintendo DS is the successor to Nintendo's Game Boy Advance, another popular handheld system. The Nintendo DS had two direct competitors: Sony's PlayStation Portable (PSP) and Apple's iPhone and iPod Touch, each with its own strengths and weaknesses. 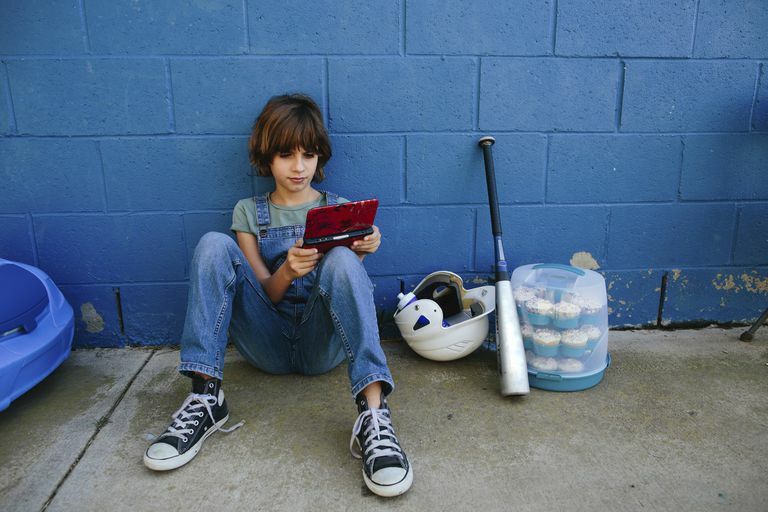 The primary function of the Nintendo DS is, of course, is to play games and entertain the masses. Whereas most game systems today offer a true multimedia experience, the Nintendo DS clings to the comfortable simplicity of plugging in a game and playing it. One feature that helped the Nintendo DS move at retail is its backward compatibility with Nintendo's previous handheld system, the Game Boy Advance (GBA). The Game Boy Advance cartridge slot is located at the bottom of the DS. The system does have a few surprises. For instance, each Nintendo DS comes preloaded with PictoChat, a picture-based chat program that lets a locally based group of people communicate. In February 2006, Nintendo released an Opera browser for the DS. It's since been discontinued. The Nintendo DS also functions as a clock and an alarm. The system's touch-sensitive screen and built-in microphone let developers experiment with building unique games that can't be replicated fully on other systems. The Nintendo DS has earned a particularly favorable reputation as a family-friendly machine. Games like the puzzle-heavy "Brain Age" and the pet simulator "Nintendogs" helped propel the DS's enormous success, putting it in the hands of kids, adults, the elderly, experienced gamers, and beginners. The Nintendo DS's puzzle games and role-playing games are unmatched. Platformer games like "New Super Mario Bros." and "Mega Man ZX" prove that the challenge offered by two-dimensional action games is ageless. Less conventional games are plentiful, too: You can whip up a meal with "Cooking Mama" and even foster your fitness with "Let's Yoga" and "Let's Pilates." Nintendo has crafted a game line called “Touch Generations," a selection of titles meant to appeal to gamers of all ages and skill levels. Some "Touch Generations" titles include "Brain Age," "Elite Beat Agents," and "Hotel Dusk: Room 215." After the introduction of the more compact Nintendo DS Lite in 2006, Nintendo eased up on manufacturing the original-style Nintendo DS. Major retailers such as Amazon and Best Buy don't tend to carry the units new, of course (though an isolated console may be floating here and there), but it's easy to find them used. As with most used electronics, prices on used original-style Nintendo DS consoles vary widely and are largely determined by the sellers, with rare colored editions commanding up to $200 from collectors. Most Nintendo DS games cost $29 to $35. Retailers such as Walmart and Amazon frequently put DS games on sale, and chains such as GameStop sell used titles at reduced prices.